I accidentally drugged myself. Not in an illegal way, mind you. And not in a terribly detrimental way, but it was nevertheless unintentional, and unpleasant. The other day I started coming down with a cold. It was probably a combination of the heat wave we are having with different places either turning on the AC or residually leaving their heat on, going in and out, over dressed, under dressed, and the exhaustion of working 64 hours this week. The sniffles and a slight sore throat turned into a pretty thorough cold, so I decided to take some cold pills yesterday evening. I wasn’t paying attention and instead of taking 2 Dayquils, I ended up taking two night time cold pills. I must have ran out of Dayquil, and I have an abundance of night time stuff because I never take it. Even when I am terribly sick, I can only handle half a dosage of the night time stuff, and even then I feel drowsy and disoriented for half the day the next day. In short, unless I am practically dying, I prefer two Tylenol’s to any sort of night time pills. So not only did I take unnecessary night time pills, but two of them (a full dose). These were not Nyquils that are vivid green and clearly marked, but rather some store brand pills that looked generic and only had a slight distinguishing mark on the back that said “Night.” I am not so oblivious to not notice the difference between bright orange and bright green pills. Thankfully I didn’t have work today! Shortly after taking the pills I felt very tired, and I slept about 14 hours, woke up discombobulated and utterly drowsy, and crawled around for most of the day. At this point I had not realized my mistake, so I thought I was getting even more sick. I slugged around on the couch while the kids were playing, almost incapacitated to the point of not being able to move. Each time I got up I felt a wave of dizziness. So I took some Tylenol, had some more coffee, trying to stay up just a little longer, after which I told the kids I wasn’t feeling well, and went to take a nap. I woke up 3 hours later even more drowsy. 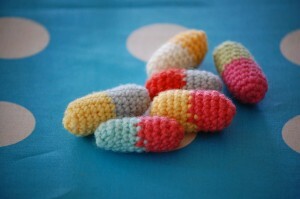 I was certain that I had gotten unbelievably sick, and went back to take more cold pills. That is when I realized what I had done. Yes, it takes me *days* to recover from night time cold pills. But at least now I understood why I was feeling this way. And thankfully I am not dying. That is why I hardly ever take them, and never take even half a dose if I know I am going to work the next day. Then, since I am generally aware of having taken them, I typically double my coffee intake the next morning to balance the effect. Which is what I am doing now, in the hopes of resetting my body before tomorrow. On the bright side, my sore throat and sniffles are gone, and aside from some left over drowsiness, I am feeling much better.